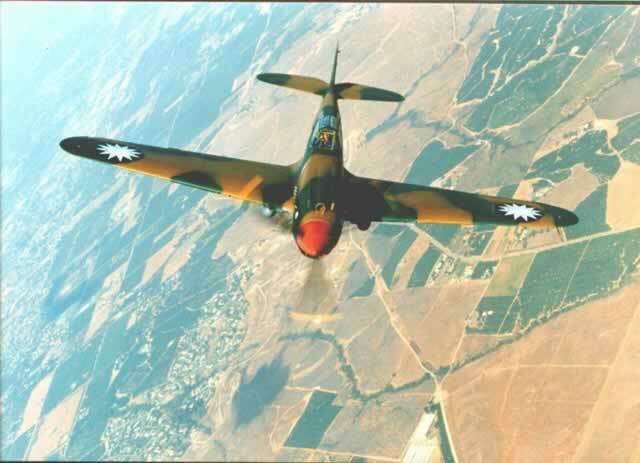 Here are photos I took in April 1998 of the first restored early P-40, which is not at the Flying Heritage Collection in Washington state, in AVG markings. 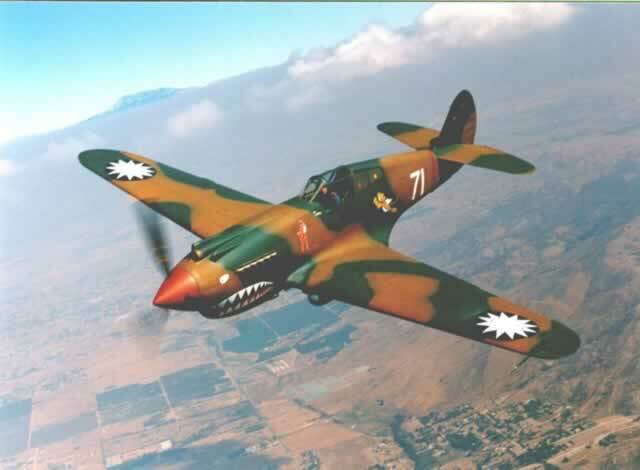 Interestingly, Erik shilling identified it as a P-40C since it had the drop tank fuel line. 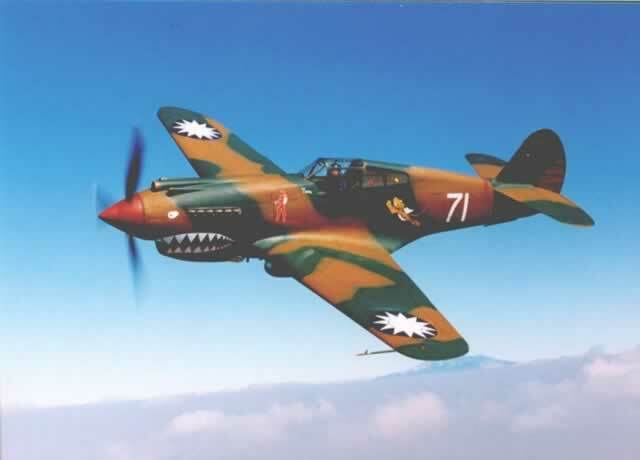 When this airplane first arrived from Russia in 1994 and they took the paint off, they realized that under an overall coat of olive drab were the full and complete markings for a P-40C of the 77th Pursuit Squadron of the 20th Pursuit Group. No one knew how the airplane got from the USAAC to the Red Air Force. I have later come to understand how. In May 1941, FDR signed a secret Executive Order that directed the US military that when any unit received new equipment, that their old equipment was to be returned to the manufacturer, who would then add it to Lend-Lease to Britain. At the time the US military was reluctant to give gear to Lend-Lease. 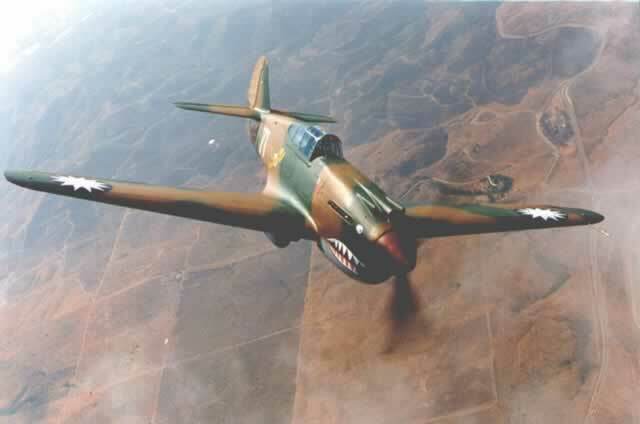 In Jun 1941, the 2pth PG replaced their P-40Cs with the new P-40D. The airplanes would have been returned to the Curtiss factory.  Curtiss would have then just painted them OD/Grey over their USAAC markings, to send on to UK as Tomahawk IIs. 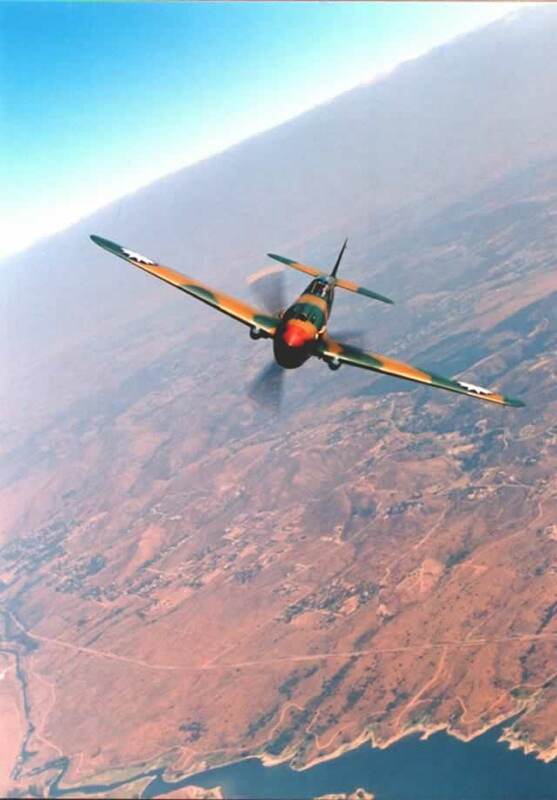 After Germany invaded the USSR and Churchill allied with Stalin against Hitler, he directed that 200 Lend-Lease airplanes be diverted to the Soviet Union that July. 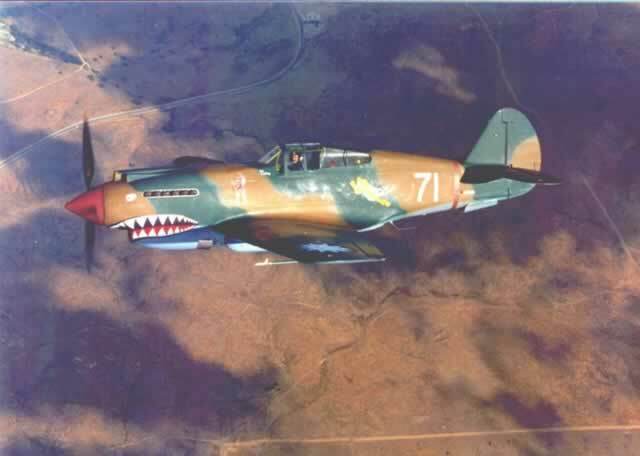 Those 48 ex-20th PG P-40Cs were in the shipment. Once there they received Red Air Force markings and flew in defense of Murmansk until the summer of 1943. And that is how a ex-USAAC P-40 ended up in Russia with the Red Air Force, where it crashed in a forest in 1943 and lay there for 50 years until it was recovered and rebuilt at Chino.